There were no motorcycles to be seen at the newly opened Motocross Mountain Track. 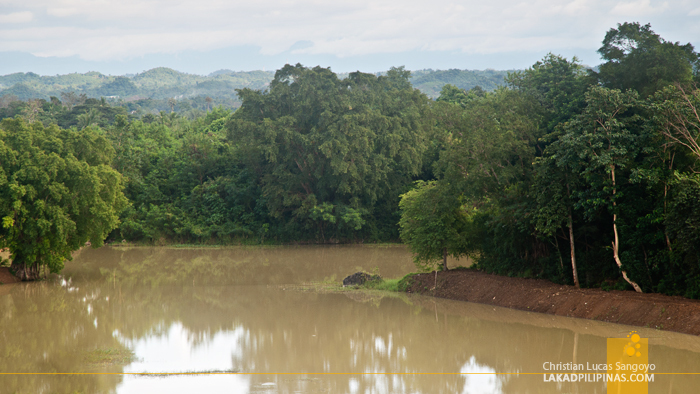 The province of Quirino is a motorhead’s heaven, having an annual motocross competition held every June. But this afternoon, the track is quiet. 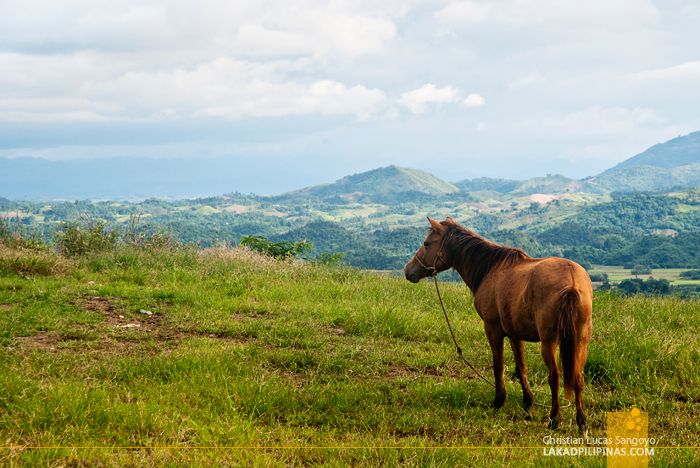 I turned around and beheld a sprawling panorama, a lone brown horse, completing the bucolic beauty of the town of Cabarroguis. With zero expectations on what to see in the province, Quirino has been surprising us one leisurely step at a time. It was a lazy afternoon and we really had nothing to do after arriving at the town of Cabarroguis. To pass the time, we decided to check out the nearby spots near the Capitol Plaza Hotel, our abode through our four-day stay in Quirino. Some steps away from our hotel is Quirino’s Provincial Capitol. 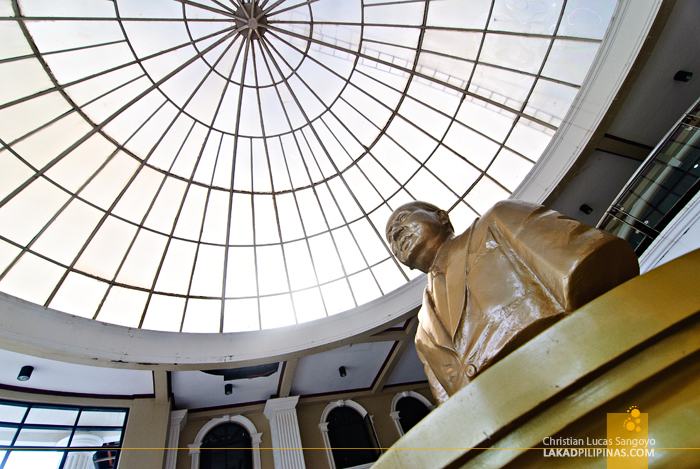 The two-storey neo-classical building houses former Philippine President Elpidio Quirino’s bust, which the province is named after. 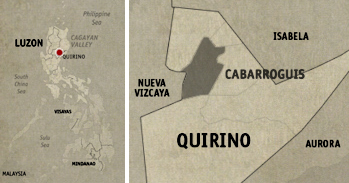 On the inscription, it detailed how Quirino came into its own as a province in 1971, being part of Nueva Vizcaya before its independence. From the Provincial Capitol, it was an easy hundred-step descent to the local plaza (okay, I really didn’t count but it was way, way down) where we found locals selling fossilized flowers, Quirino’s local handicraft and their One Town One Product industry. Made from the dyed and treated leaves of alibangbang trees, these colorful ornaments has been making waves not only on the local bridal market, but also on the international one as well; being exported as far as Italy. 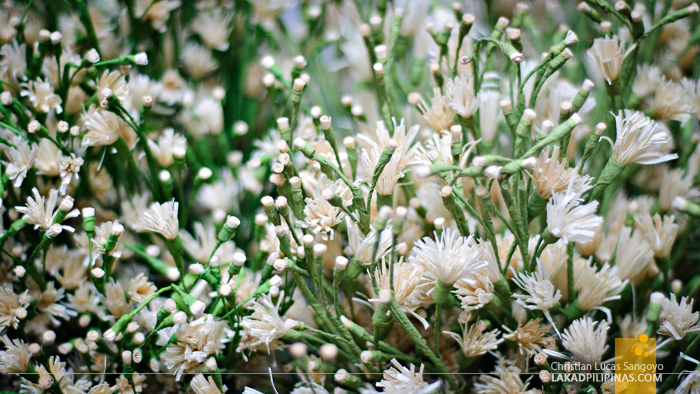 It takes about thirty minutes to create a single bulb of flower, but these can last for years, with proper care. Riding a van, we visited the latest tourism infrastructure being developed in the province, Quirino’s very own wakeboarding area. The site is set on a natural lake, larger than most wakeboarding sites in the country, and would soon see some action come March this year. Definitely something to look forward to for adrenaline junkies out there. We dropped by Akel’s Panciteria for a pancit batil patong dinner before resting back at the hotel. But from our room’s balcony, we saw a perya at the town’s sports complex which was only a few steps away from our place. Pretending to be true travelers, we got our butts off our comfy beds and went out into the chilly December night. 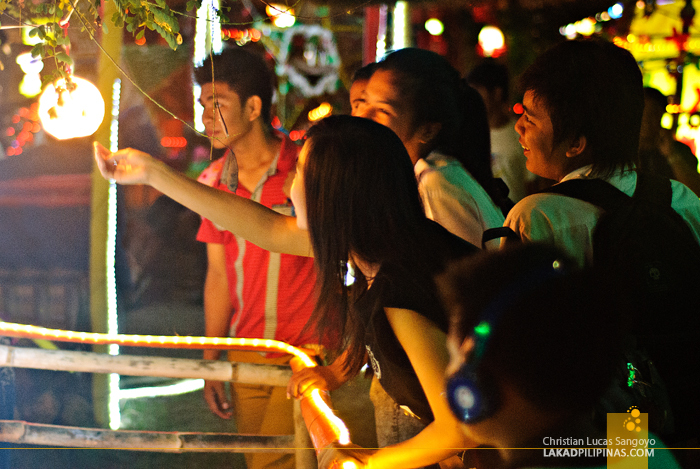 It turned out to be Paskuhan sa Quirino, an annual Christmas fair set near the capitol grounds. There were Christmas lights everywhere and the mood was quite festive. 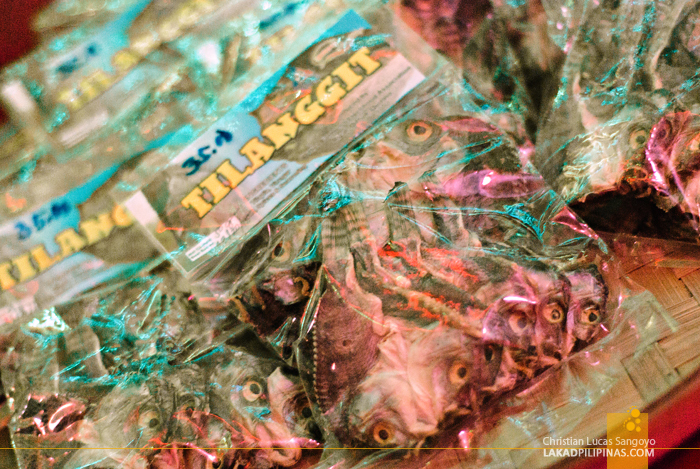 Locals, both young and old abound, checking out each of the town showrooms where they display and sell curious local products like tilanggit, a cross between danggit and tilapia fish. I also saw a local wine made from tomato, I would’ve bought a bottle too if not for the hassle of flying it back to Manila. The perya area turned out to be exactly what I pictured it to be; a makeshift circus carnival that roams and sets up from town to town, something of a throwback from when I was a kid. 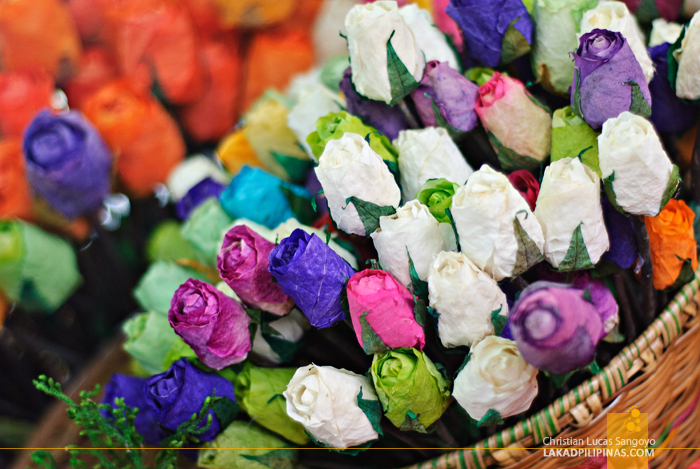 One can hardly see these in the cities anymore, but here in Quirino, the tradition is very much alive. 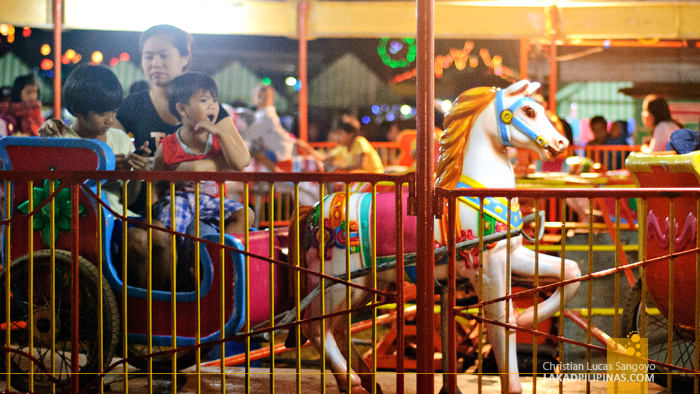 There were chubibo rides, a Ferris wheel, carousels and even a horror train ride. And yeah, we simply cannot pass on not riding that last one!